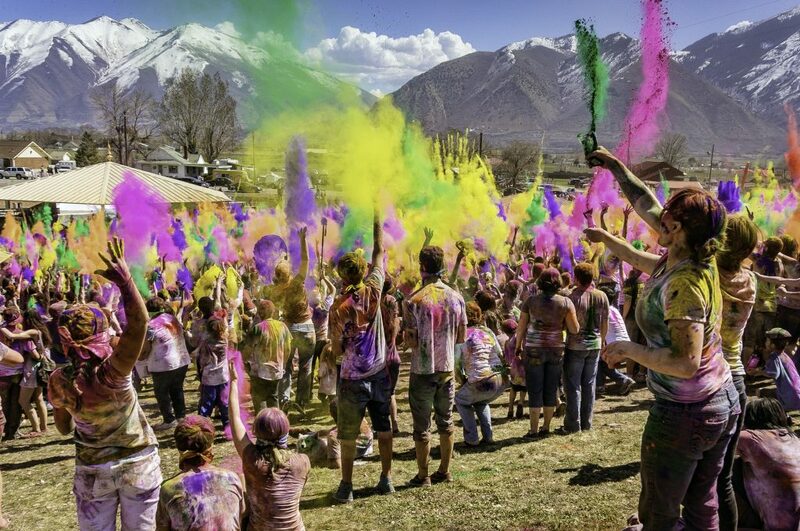 In just two days it will be Holi Festival time—the festival of love and color celebrated many places in the world but particularly in India and Nepal. It’s a Hindu religious festival that has become popular with many non-Hindu people because it is just so joyous and fun! In fact, that’s the point. It celebrates the victory of good over evil and the arrival of spring. It’s also a time to celebrate the power of love to conquer hate and separation. There is more than one old myth associated with this holiday but the one that won my heart is the story of Krishna and the love of his life Radha. According to legend, when the deity Krishna was a baby a demon tried to poison him with her breast milk. He survived but his skin turned quite dark. This was traumatic to Krishna as a very young man because he despaired that the fair-skinned Radha would not love him. Finally his mother suggested that he go to Radha with colored powder and invite her to paint his face any color she wanted. And that started the tradition of couples and friends painting each other’s faces with bright colors during the Holi Festival. Pigments are even thrown in the air until everyone present is covered in multiple colors and are laughing and singing. Holi is celebrated with a variety of traditional foods and drink. The most popular and famous one is made with almonds, seeds, spices and milk. 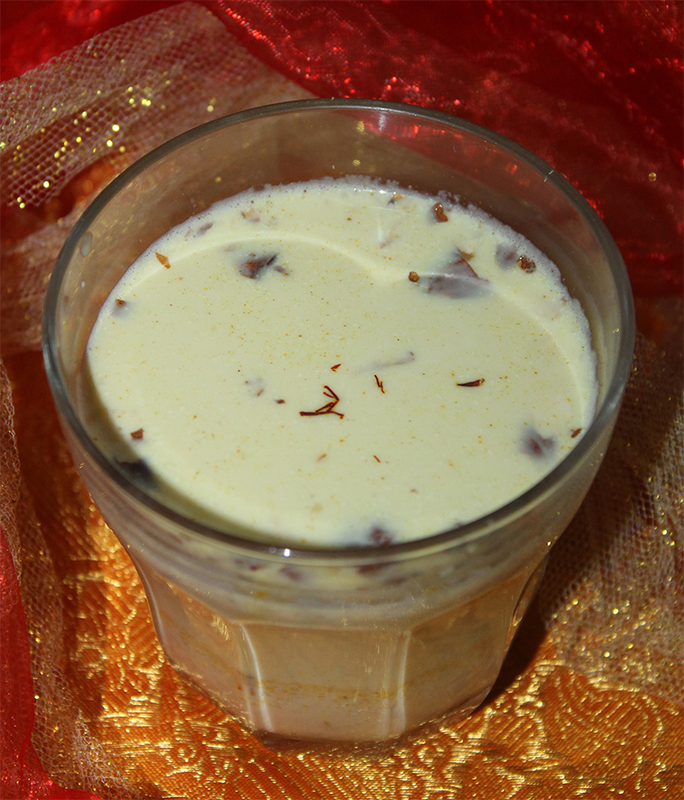 It’s known as Thandai and it sounds delicious! It’s usually served cold and there are many different variations on the recipe, some intentionally intoxicating. (I won’t be including that one here.) It helps to soak the nuts overnight but, otherwise, it is very quick and easy to make. Soak the nuts, seeds and spices (except for saffron) in ½ cup water overnight or for at least 5-6 hours. Strain out the water. Then grind the soaked ingredients in a blender to make a smooth paste. If it is too dry add a little water or milk. Add the rest of the milk and blend some more. Then strain out the large solids. Add the sugar, saffron soaked in milk, and rose water and mix until the sugar is dissolved. Serve right away or refrigerate to serve later. Garnish with rose petals if desired at serving time.